Located in Woodside Estate, this wonderfully maintained home is in arguably one of the best streets in North Lakes and coming to the market for the first time. 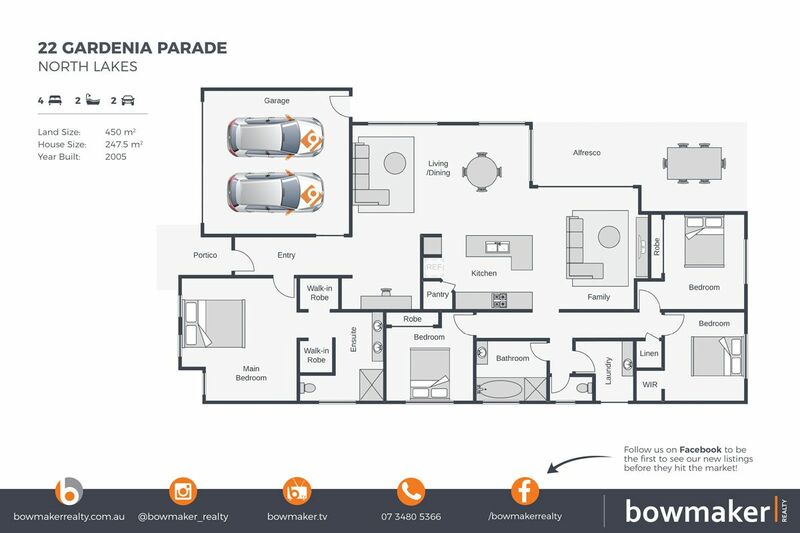 The home features a large main bedroom, with twin WIR and full ensuite. Three other good sized bedrooms are at the rear of the property, 2 with BIR and one with a WIR. :: Double garage make this a perfect family home. With a good sized yard and fantastic street appeal, you’re only a short walking distance from Woodside Oval, parks, walking tracks – all in one of North Lakes quietest locations.